In a touching video, released by Rachel Butler, who serves as Regional Director of the Royal Society for the Prevention of Cruelty to Animals (RSPCA), an unidentified man can be seen dumping a dog name Snoop on the street with a puppy bed. 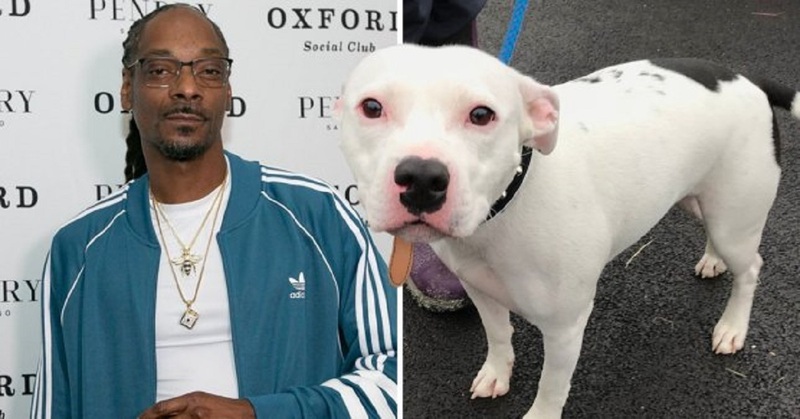 Without understanding what happened, Snoop the dog tried getting back in the car with his owner, and even turns around the car before the owner drove off. Snoop was later rescued by RSPCA, who named the dog after the 47-year-old rapper from Long Beach. After watching the clip, Snoop Dogg was moved. "It's heartbreaking," Snoop Dogg told the Daily Star. He even offered to adopt the Puppy. "There's always a place for another dog at Casa de Snoop," he told the Daily Star. "If he needs a home, then has a home with us," said Snoop Dogg. "But I do not think there’s going to be a shortage of loving home after all the exposure he got." Of course, Snoop Dogg was not the only person affected by Snoop's story. A lot of people, including BBC journalist Andrew Neil, have expressed their desire to adopt Snoop. “So worry by this footage. I say to RSPCA. If you have problem rehoming this little puppy. I will take it, happily,” Neil tweeted on Monday. But, Butler says the dog is settled for now. “Snoop currently resides in private kennels and I am pleased to say that it works well and that it attracts a lot of staff attention," says Butler of PEOPLE. "He is a nice and friendly dog and many people have fallen in love with him!" “At the moment he isn’t up for rehoming through our investigation into his abandonment is going on,” Butler explains. The local police, who according to Butler is not involved in the RSPCA investigation, did not immediately respond to PEOPLE's request for comment. Now check out this video to hear from the rapper.